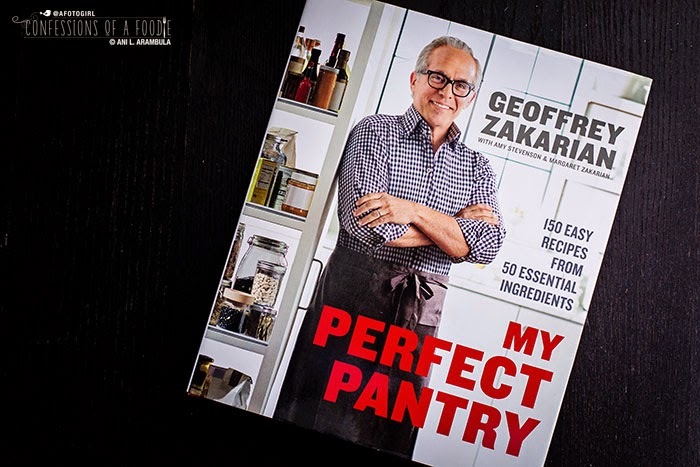 Food Network star, Chef Geoffrey Zakarian’s “My Perfect Pantry: 150 Easy Recipes From 50 Essential Ingredients” is highly accessible resource of recipes and information for the home cook. I have long professed the benefit of having a well-stocked pantry. That’s not to say it’s filled with exotic condiments and spices. I’m talking basics here like a couple of different kinds of vinegars, a few different kinds of canned or dry beans, at least two different kinds of oils (one for frying; one for finishing and dressings), canned tomato products, canned tuna, evaporated milk, a good variety of flours, nuts, pastas, etc. I've lost track of how many times friends have stopped by for coffee in the morning and stayed well into the evening which meant having to come up with a satisfying dinner using whatever I had in the refrigerator and pantry. With a few basics, I never had trouble coming up with something tasty and satisfying. It's an ability to improvise in the kitchen that stems from a father who once made his living cooking and a mother charged with coming up with creative meals on a tight budget for a large family. “I have a strong belief in the basics. I like natural ingredients prepared in ways that enhance their inherent flavors. I don’t like masking foods or manipulating them so they taste like something completely different." Geoffrey Zakarian from "My Perfect Pantry." But not everyone has the instinctual or learned knack for pulling together a collection of pantry items to create a meal on the fly. 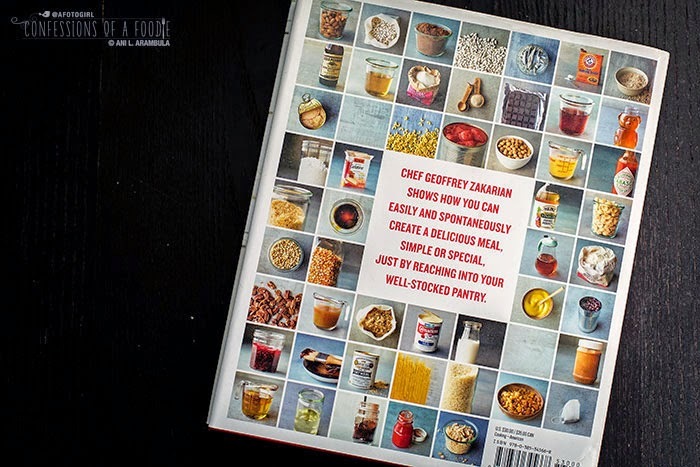 Which is why I was looking forward to getting my hands on Chef Geoffrey Zakarian’s “My Perfect Pantry: 150 Easy Recipes From 50 Essential Ingredients” to review here for those of you interested in growing your own instincts for pairing ingredients and experimenting in the kitchen. Zakarian is a successful restauranteur but he is probably most well known to anyone who has watched the Food Network as he regularly sits at the judge’s table on Chopped, won The Next Iron Chef: Super Chefs, competes on Iron Chef America and is one of four co-hosts on the weekend talk show, The Kitchen. 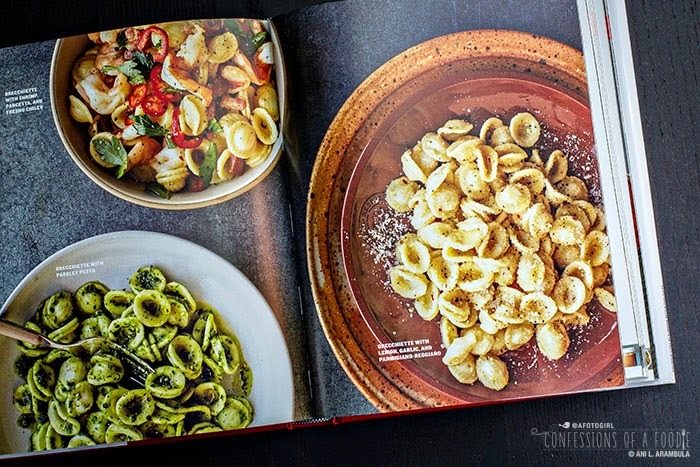 “The pantry is the backbone of a kitchen–the place on which every meal hinges,” states Geoffrey in the opening pages of this, his second cookbook since “Geoffrey Zakarian’s Town/Country: 150 Recipes for Life Around the Table” which was published in 2006. With “Pantry,” the Food Network star has written a highly accessible book for the home cook. First he lays out the foundation, explaining in short nuggets 19 essential staples of spices and spice blends to keep on hand. Then onto the main event, 50 numbered pantry items from Almonds to Yeast. Each pantry item serves as it’s own “chapter" with a photograph of the item accompanied by an explanation or history of it and at least two tips for working with it (did you know you should periodically test your baking soda for freshness by adding 1 teaspoon of it to ¼ cup of vinegar and if it doesn’t bubble up furiously, it’s time to replace it?). 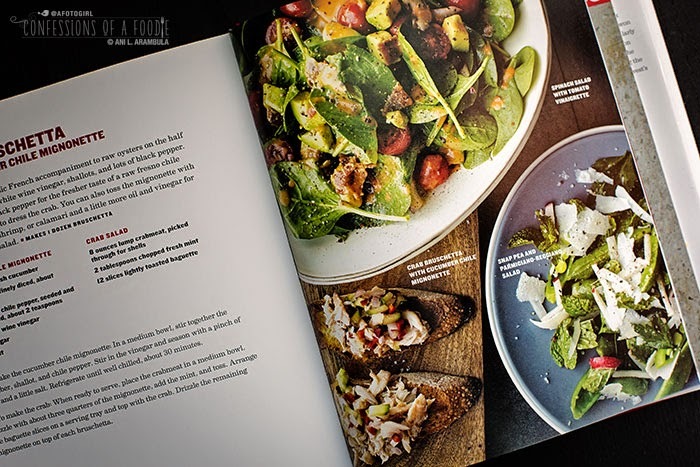 Each chapter contains three recipes and a color photograph with all three dishes so the home cook knows what the finished dish should look like. “I don’t keep an overly stocked refrigerator and freezer, and I try to get to the grocery a few times a week for anything fresh. Then I keep my pantry filled with moderate quantities of the purest ingredients I can get my hands on." Geoffrey Zakarian from "My Perfect Pantry." The majority of the recipes take up just one page so most are short and sweet. From history to technique, each of the recipe’s headnotes impart more understanding of the recipe and shouldn’t be skipped over. The recipes have a clear hierarchy with good font choices making it easy to follow along in the kitchen while preparing the dish. However, I do wish that the recipes included nutritional analysis. This book would make a great housewarming gift for anyone just setting up their first kitchen pantry but I feel it would be just as comfortable and fitting for any level cook who just wants a little creative kick to get out of a cooking rut. 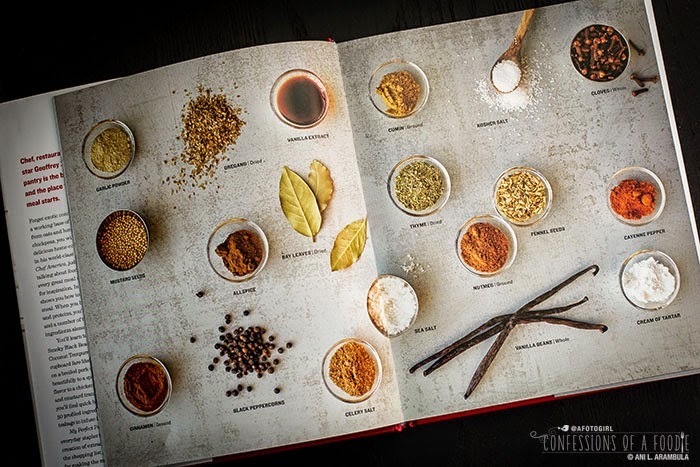 With this book in hand, you’ll be able to whip up a meal from your very own “perfect pantry” for unexpected guests all the while gaining the confidence to create your own recipes the more you use this cookbook. “ You can definitely cook without a refrigerator, but it is nearly possible to create a meal worth eating without a pantry." Geoffrey Zakarian from "My Perfect Pantry." I received this book from the Blogging for Books program in exchange for this review. I was not otherwise compensated and was under no obligation for the tone or contents of my review. All other opinions expressed are 100% my own. This post contains affiliate links. By purchasing your book through my link, I receive a small stipend which helps cover costs of groceries for this site's recipe development. Unlike a full review, Quick Look's are not recipe tested often due to my dietary restrictions. My reviews for Quick Look's are based on as thorough an examination of the recipes, photographs, and design as time allows as well as my expertise as a recipe developer, home cook, baker, art director, photographer, and designer. Wonderful review and so very timely - I was just eyeballing Chef Zakarian's book the other day and wondering if it would be a good investment. Thanks for the inside look! 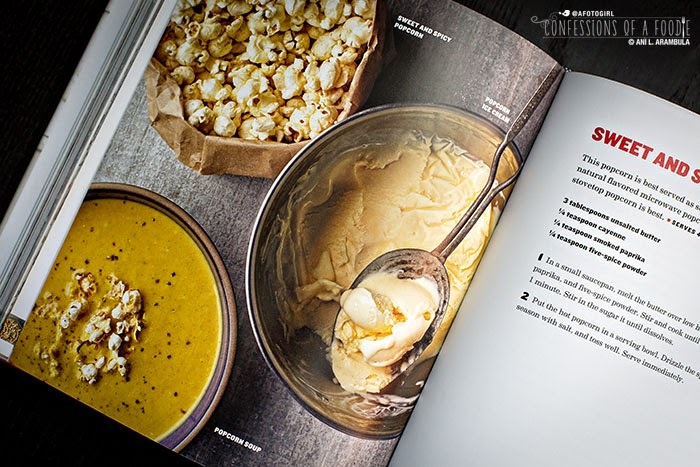 They say cookbooks are going out of fashion, but we foodies still enjoy curling up with a nice book with pretty pictures of yummy food. I love Zakarian, maybe secretly b/c he's my peeps (Armenian). Gotta get my hands on this one. @Heidi -- Thanks! I like the book and am happy to have it in my library for sure! There are plenty of dishes that I'm looking forward to making and even more that I am excited to tweak, making them more in line with my current eating style. @Coco I think people who truly love to cook will always love their cookbooks! 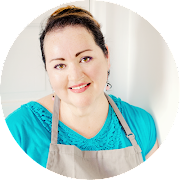 I have a few in digital format and yes, I have loads on my Pinterest boards with tons of recipes but it's the honest to goodness cookbooks that I love to go back to again and again!